Google’s Project Tango AR technology gives us the possibility to develop AR solutions without the need for a printed marker. Tango solutions running on target built devices, like the Lenovo Phablet Pro 2, are scanning the space, objects around the device and place the Augmented content in it based on that information. 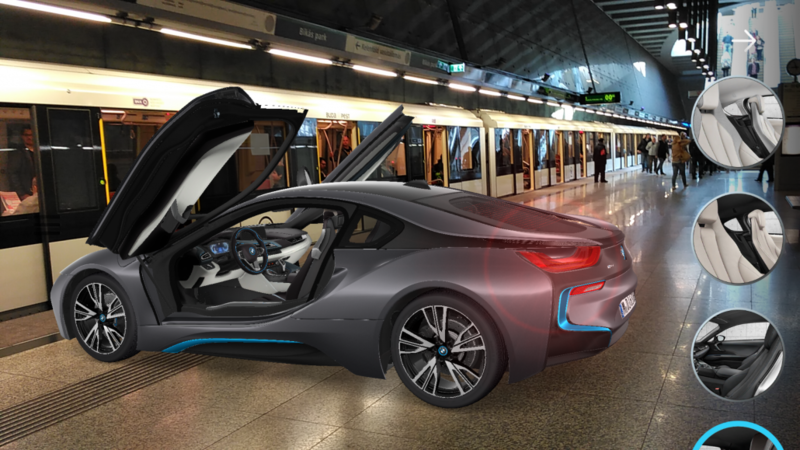 To demonstrate how this new tech works, we’ve used an already existing app (however we’re already working on some of our own) to install the hybrid cars of BMW into a Metro Station – which would be obviously logistically impossible in any other way.